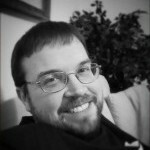 This is a Guest Post by @TrendSpider and originally appeared on their TrendSpider Blog. In this weekend’s blog post, we take a look at the broad market ETFs pushing higher as some of the lower indicators and more speculative ETF’s show “risk off” mode may be kicking back in. 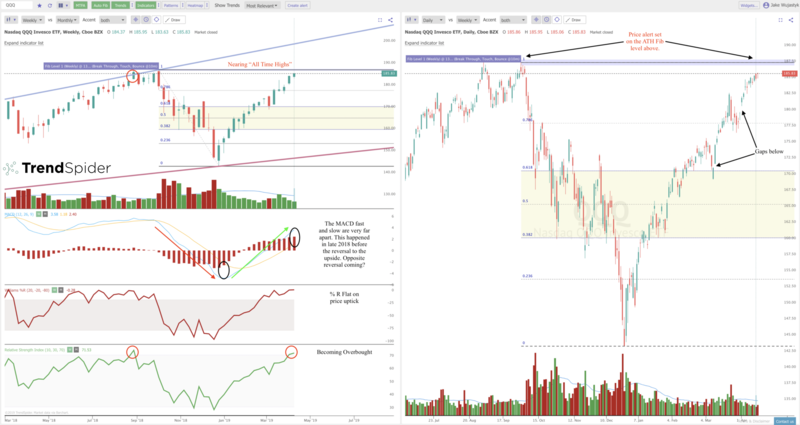 However, the trendlines above on SPY and QQQ suggest a continued grind higher may continue as bears try to call the top. 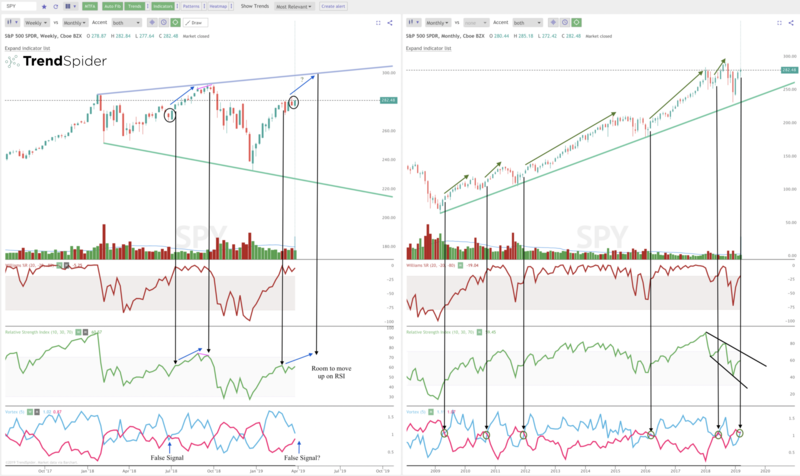 Alerts – Add alerts to your trendlines and indicators with sensitivity. Conditional Criteria Alerts – Create complex conditions to be met between a mix of lower indicators and price action. 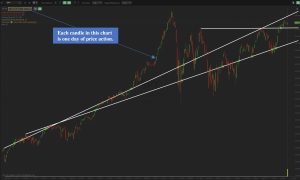 Multi-time frame analysis (MTFA) – Overlay your chart a secondary timeframe with on trendlines, indicators, and Fibonacci levels. Trendline Preferences – Customize your trendlines to automate a consistent trendline drawing strategy. 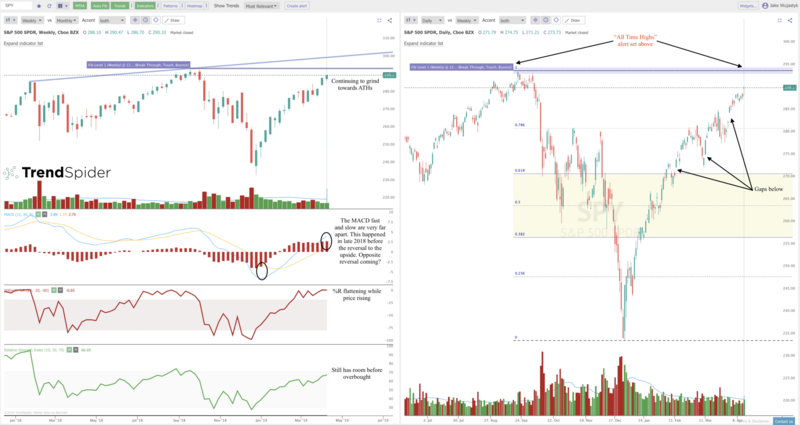 Add Watchlist – Create your own watchlist and quickly move through charts with automatic analysis on each! 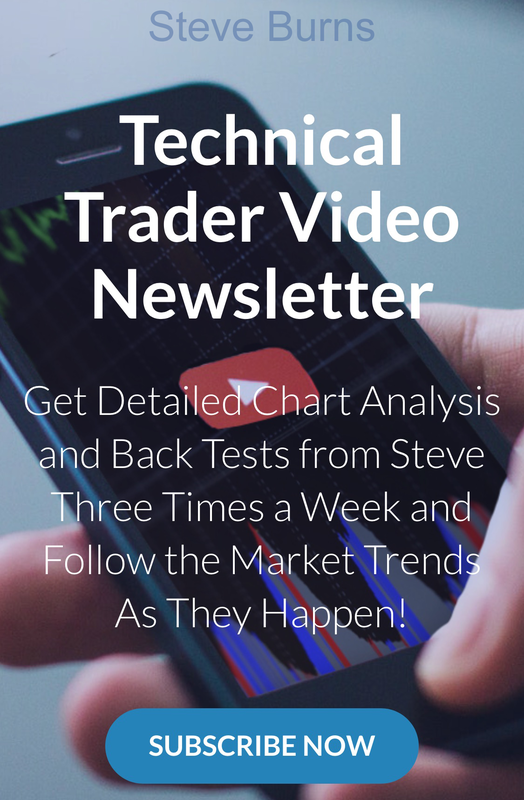 Automatic Candlestick Recognition – Automatically input your favorite candlestick patterns into the system and have TrendSpider find all the ones on your current chart! 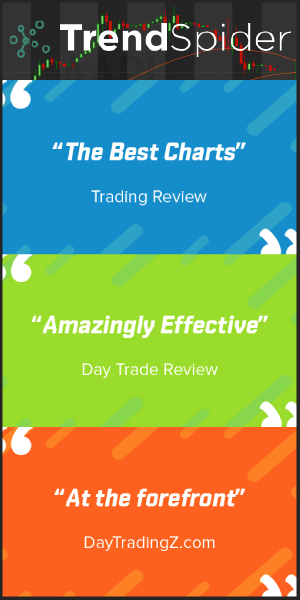 TrendSpider is the world’s first and only AI-enhanced charting platform designed from the ground-up to help market technicians be more consistent, competitive and efficient. Click here for more information. REMEMBER: These are charts that have interesting technical setups based on automated technical indicator analysis included. 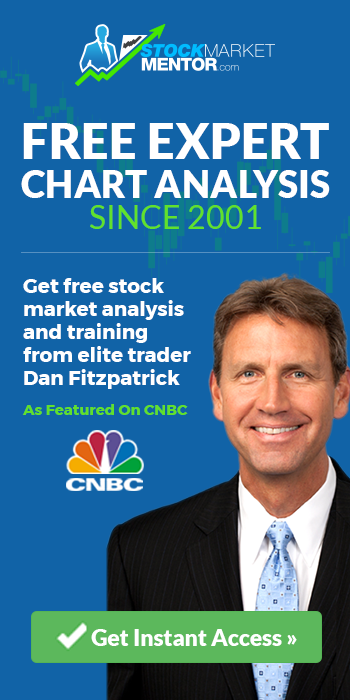 Charts and analysis provided for educational reasons only. 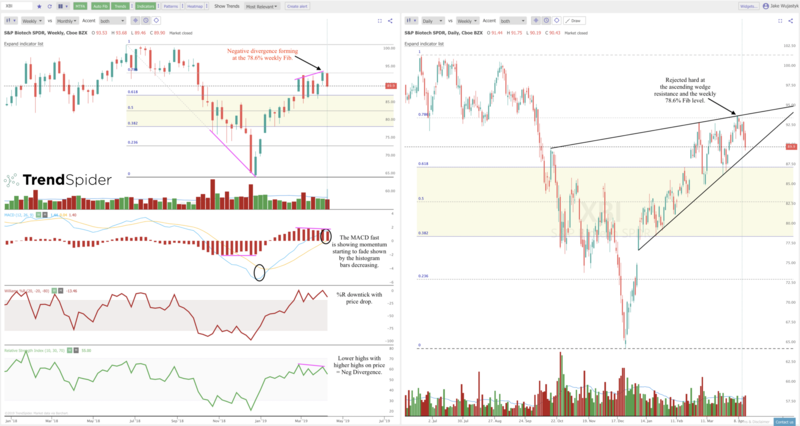 TRENDSPIDER IS A CHART ANALYSIS PLATFORM. IT IS NOT INTENDED TO BE TRADING OR INVESTING ADVICE. ALWAYS DO YOUR OWN DUE DILIGENCE USING MULTIPLE SOURCES OF INFORMATION AND/OR SEEK THE ADVICE OF A LICENSED PROFESSIONAL BEFORE TRADING OR INVESTING. Please read our full risk disclaimer on our website by clicking here.